What should we do to help build our local economy? What CAN we do? Have other communities made helpful changes that we can do here as well? Before we run out and maybe make a mistake because we just “Have to do SOMEthing!“, we should also understand why we’re doing it, and the consequences of doing it wrong. The previous Village administrations weren’t wrong in inviting retailers in to give residents places to shop, or in expanding residential areas to invite taxpayers homeowners, or reserving property to be designated as “Open Space”. But without the “big picture” (in this case a framework for village growth), the result is like mixing food ingredients at random and then wondering why the meal doesn’t taste good. “Localism is about building communities that are more healthy and sustainable – backed by local economies that are stronger and more resilient. It means we use regional resources to meet our needs – reconnecting eaters with farmers, investors with entrepreneurs, and business owners with the communities and natural places on which they depend. It recognizes that not one of us can do it alone and that we’re all better off, when we’re all better off. The “Buy Local“ Movement has really been picking up steam over the last few years, reinforced by a parallel “Buy American“ ethic as well. Feedback shows that while spending a greater percentage of your hard-earned income local DOES have a positive impact on the local economy, that alone is not enough if local ownership of businesses is low. [This quoted section added 4/26/13]: “Cities where small, locally owned businesses account for a relatively large share of the economy have stronger social networks, more engaged citizens, and better success solving problems, according to several recently published studies. Walter Goldschmidt, a USDA sociologist, produced a groundbreaking study comparing two farming towns in California that were almost identical in every respect but one: Dinuba’s economy was composed mainly of family farms, while Arvin’s was dominated by large agribusinesses. Goldschmidt found that Dinuba had a richer civic life, with twice the number of community organizations, twice the number of newspapers, and citizens who were much more engaged than those in Arvin. Not surprisingly, Dinuba also had far superior public infrastructure: In both quality and quantity, the town’s schools, parks, sidewalks, paved streets, and garbage services far surpassed those of Arvin. 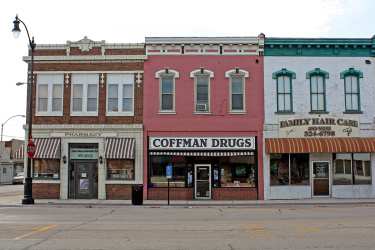 Two other sociologists, C. Wright Mills and Melville J. Ulmer, undertaking a similar study conducted on behalf of a congressional committee… found that communities comprised primarily of small, locally owned businesses took much better care of themselves. They beat cities dominated by large, absentee-owned firms on more than 30 measures of well-being, including such things as literacy, acreage of public parks, extent of poverty, and the share of residents who belonged to civic organizations. We have a high percentage of franchises in RLB. They are a valued part of our local economy and local life; we certainly aren’t complaining about them as partners in our local business climate. BUT… part of owning a franchise is paying “franchise fees”, which are sent out of our village to the “corporate office” far away. 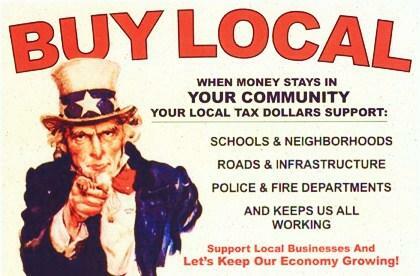 That’s money spent locally, but it doesn’t benefit us the same way as if it were a fully locally-owned business. A greater percentage of locally-owned businesses could help offset that (and the success of that is impacted by how “small business friendly” our infrastructure is). Our zoning currently favors physical structures which are difficult for small-businesses and start-ups to get a foot-hold into. By design our system favors strip-malls and shopping centers, which themselves implicitly favor franchise operations. “Small-businesses are the backbone of the American economy, generating 80% of jobs and half of the GDP. They also create the foundation for strong, diverse neighborhoods and strong local economies. So why are we starving these vital enterprises? ADRIAN MI: A group of 22 investors has bought the building at 120 E. Maumee St., inspired by a speech last October at the Adrian Area Chamber of Commerce Economic Club luncheon. Don Taylor, one of the investors, said he and three other people got together after the speech by Amy Cortese, author of “Locavesting: The Revolution in Local Investing,” and talked about how they could invest locally. “The whole concept is to engage more people in the economic life of our downtown,” Taylor said. “Quite frankly, it wasn’t hard at all to get a large number of investors”. The group will upgrade the vacant spaces in the multi-use building (retail AND residential) and bring it up to 100% occupancy. Typical in this category is a local business association renting vacant space at a discount. They then help local start-ups (by lowering the barriers to entry): providing retail storefront space at a substantial savings (for a set period of a couple of weeks to several months), along with experienced marketing and business advice. Property owners have higher occupancy, customers have more stores to patronize, and there’s more “life” in the area, which itself attracts even more people to the area. Our challenge with implementing such an idea locally is not so much finding investors and business partners as it is in finding suitable places in which to invest (that’s where our lack of a downtown comes in). – We would like your helping in finding such places! With local ownership comes local accountability; when you live in the community where your business decisions are felt, you have the understanding to make better decisions. Having a larger density of locally owned businesses results in higher per capita income, more jobs, and greater resiliency in the local economy. Plus more people living in their true vocation, with meaning and purpose, is good for all of us. The blazing economy of the 1990’s won’t be back anytime soon (given the debt/credit crunch and collapse of the housing bubble, it may never be back). We MUST focus on our local economy and community. If the economy at-large continues to stagnate, we have to depend more-and-more on the local situation for our jobs and livelihood. 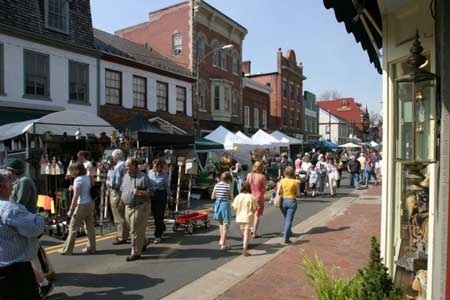 Should the economy somehow come roaring back to life, we will still be better off with a robust local business community, in a village that’s interconnected, liveable, and has a high-degree of self-support (by design). Do you see any current opportunities for us to invest in ourselves? This entry was posted in Business, Downtown, Economics, Planning. Bookmark the permalink.